Great news for shipping companies! Cargo vessels today are now able to take a short cut over the 'top' of Russia between Pacific and Atlantic. Not such a good day for Polar Bears having container ships driving through their patch. Could there be any further proof that Global Warming is here and gathering pace? Unfortunately Homo Sapiens ("Wise Man") seems to do its best to make the situation worse in the name of 'emissions controls'. 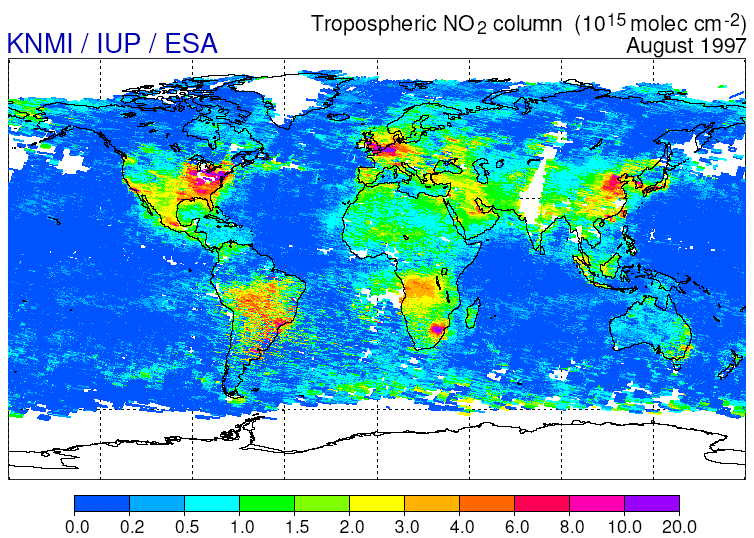 Nitrous oxide, a breakdown form of NOx,is a greenhouse gas, and anthropogenic emissions contribute about 2 percent of the "greenhouse effect" relative to total anthropogenic emissions of greenhouse gases in the United States. Note the "2%". Legislation attempting to reduce this "2%" will increase carbon dioxide emissions and increase the rate of Global Warming as you can appreciate if you follow my article. Firstly why do we have global warming and why should we be concerned? 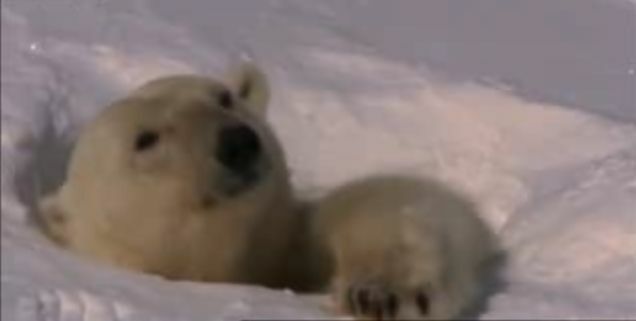 Few of us have ever seen a Polar Bear in the wild and most of us never will if they become extinct in the wild within the next 100 years? Fossil fuel originates from biological activity over 360 million years ago prior to the Carboniferous era and was accumulating after the Mesosoic era 65 million years ago. Over these three hundreds million years the sun's energy was being stored as fossil fuel. We Human Beings have released about half this energy in just the last few hundred years since the start of the Industrial Revolution. It is not surprising that we have caused Global warming. It is of concern that many individuals find it convenient to be in denial of the facts. I have a feeling that Scientists have underestimated the problems of global warming in order to preserve their credibility. Evidence is coming to light that global warming is increasing incrementally in the same way that fire spreads through a newly lit bonfire. For example, it seems that global warming has started to release methane hydrate from the oceans - see New Scientist 22 August 2009. This is a potent greenhouse gas and its release on a large scale will tip the climate over the edge. I impress upon you, dear reader that we must do everything possible to reduce our carbon dioxide emissions. You would think that any legislation that knowingly increased carbon dioxide emissions would be a bad thing? Well yes - unless you were the European Commission responsible for reducing smog cause by engine exhausts. Let us consider the most common way we reduce carbon dioxide emissions and smoke from engine exhausts. Anyone with an inkling of Chemistry realise that oxygen in the air causes things to burn. The more oxygen then the better things burn. Reduce oxygen and things tend to burn with a smoky flame. In the so-called 'dirty' diesel engine the fuel is able to burn in a plentiful supply of air. This will result in a clean burn and no visible smoke. This clean burning liberates the most heat and therefore more energy from the fuel. This means more power with less carbon dioxide released. Diesel cars could achieve over 70mpg without emission controls. NOx is shorthand for the various oxides of nitrogen. NOx is produced when air is heated to a very high temperature such as during a lightning flash, forest fires or in a car engine. There is a high concentration of tropospheric NOx over central Africa, an area that corresponds to the maximum thunderstorm activity. NOx is part of the nitrogen cycle and can be taken up by plant roots and metabolised into protein. NOx is partly responsible for the ozone in the atmosphere, which is one of the compounds that may cause sensitive eyes to water. It is also one of the factors responsible for some forms of smog. This class of gases will still be found in the atmosphere even if Homo Sapiens had never evolved since it is produced in nature. Excess NOx is not a good idea because it is not a pleasant gas to breath, unless it is the oxide of nitrogen called nitrous oxide or laughing gas. This is guaranteed to cause a smile on the face of any driver who has driven a car fitted with 'nitrous' injection. Diluting the inlet air in an engine with exhaust gas can virtually eliminate NOx emissions so cars are usually fitted with a valve which puts exhaust gas into the inlet. Less oxygen in the inlet charge means less NOx. Naturally if the fuel is diesel it does not burn so well so we then need a filter to catch the smoke that will be produced. The filter causes the engine to use fuel since it has to work harder in order to pump the exhaust through the filter. Now since the exhaust filter cannot be changed and the soot dumped into landfill we have the problem of that the clogged filter will choke the engine. The answer is to squirt some fuel into the filter to burn off the soot. Naturally the fuel and soot burn to produce carbon dioxide. This adds to the emissions of greenhouse gases. A diesel car with this apparatus removed as I have found will have more power and much greater economy - and of course will have carbon dioxide emissions considerably reduced. You can expect a 20% improvement in economy. Savings are greater than you would expect. This is because engines regularly exceed 100,000 miles during their life. Exhaust gases over this distance will have been diverted into the inlet of the engine. The result is likely to be clogged inlet tracts, inlet valves resembling mushrooms and sticky exhaust recirculation valves. This problem is inevitable because hard driving will not have any effect in burning off these deposits. The result? Poor driveability and a higher fuel consumption. This will increase carbon dioxide emissions. Naturally changing the inlet manifold, inlet valves, exhaust recirculation valve and pipes carrying the exhaust gasses to the inlet manifold will bring the engine emissions back to the standards required by the emission standards. 'Beyond economical repair' is the expression used by fitters when describing an engine needing this treatment. Present legislation does not seem to make it illegal to remove or modify emission equipment since this is not tested during the current MOT. However I would not recommend anyone carrying out this modification. Engine management systems are designed to react to any changes made to the engine that alter its operating parameters. This may cause a warning light to appear on the dashboard. Changes will also invalidate any manufacturers warranty. However owners of unmodified vehicles suffering from a clogged up inlet will probably find the manufacturers un-co-operative in their warranty claims - drivers have been accused of 'driving the car too gently' and causing the problem. One can avoid these carbon deposits being formed in your diesel engine by driving it everywhere flat out. This turns off the EGR valve and circumvents the problem. This is hardly a recipe for reducing our carbon footprint. I was investigating the rate at which NOx levels were changing. These are increasing in desserts but DECREASING in cooler wetter areas. The answer, I believe to NOx pollution is to reduce carbon dioxide emissions and reduce global warming. Present legislation may be making things worse! 0333-6663333 Please note all information on this site is as correct as best endeavours can make it (Errors and Omissions excepted). Website revised on Saturday 24th March 2012. Last edited on Wednesday 17th April 2019.